This villa is for those looking to stay in a different kind of place. 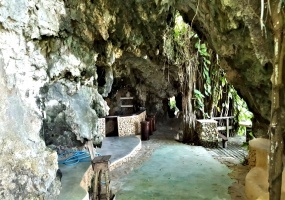 this is not for those looking for the typical modern fancy villa with the newest gadgets.I guarantee if you stay in Villa La Cueva you will never forget it.Where else you could find a villa with a Disco/bar inside a cave which also has ocean view?Besides the disco/bar the cave keeps going to a system a little caves. 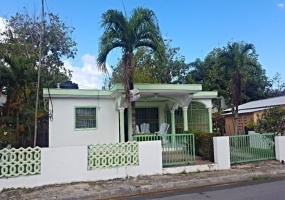 This home has 3 bedrooms and 3 bathrooms and is centrally located and walking distance to everything in Cabrera.The biggest supermarket is 1 block away, the ocean promenade is 2 blocks away and the main square about 3 blocks.Ideal for those who don't like to drive much. Villa RC is a very spacious and comfortable place to live. Super high ceilings, big rooms , broad living and dinning room. Top 3 ocean view home on the north coast ! !This villa has such a magnificent ocean view that you will not want to leave.As you can see on the photos and video the house consists of three octogonal structures with the living kitchen in the center and the bedrooms on the sides. 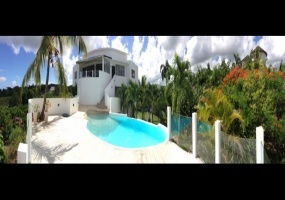 Villa CoraLeah is your gorgeous tropical sanctuary far from the hustle and bustle of the tourist resorts and is absolutely the most perfect family vacation spot along the north coast of the Dominican Republic. Entering this magnificent fully furnished 3000 sq. foot vacation rental you are greeted with a stunning ocean view framed by the elegant furnishings though out the villa. Cute house in the green hills of La Catalina. Villa Rosa Blanca is a modern contemporary style home located in the lush hills of Rio San Juan overlooking the Bay and the vast Atlantic Ocean on one side and a tropical mountain range on the other.The view is second to none as you can see in the pictures but even though the photos are nice you have to be standing on the large balcony to truly appreciate the magnificent view. 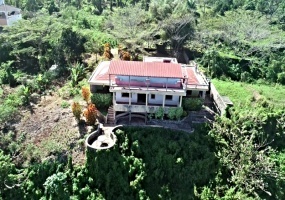 Spacious house on the hills of Cabrera!!! 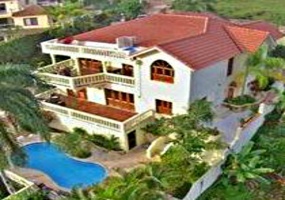 !This beautiful home has large balconies overlooking the blue Atlantic ocean , it also has a spacious living room, dinning room, kitchen, 4 bedrooms, storage room, nice gardens and a strong stoned wall surrounding the whole perimeter.Gated communityVery peaceful, you only need to bring your family. The ocean view is just spectacular , there is a big balcony where you can spend your afternoons watching the vast view and enjoy the cool mountain breeze. This rental house is in excellent conditions and ready to move in.4 spacious bedrooms and 3 bathrooms. huge living room with modern kitchen. Cool balcony and screen on everywindow Everything works!! !It has a magnificent ocean view and the best of all is the nice constant breeze going through it .Nice big yard with fruit trees (avocado,mango, bananas, orange and more.